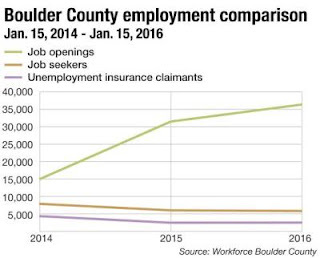 The chart above may just seem like words, numbers, and lines to many, but to me it represents one of the greatest threats to Colorado’s system of delivering services to individuals with intellectual and developmental disabilities (I/DD) if we aren’t able to quickly reshape (and rethink) how we fund and deliver services. Well, that asset has become extremely difficult to attain, and I don’t anticipate that fact changing any time soon. This trend isn’t surprising, and this isn’t the first time I have warned about this very challenge. But the issue is no longer a future scenario, it is a current reality. And while Imagine! has been a leader in filling service gaps caused by flat or lowering provider rates, narrowly designed waivers, and a need of foresight and creativity among those who have designed our current system of funding and delivering services, our ability to continue to fill those gaps is stretched to the breaking point. Imagine! isn’t alone in standing at that threshold –all service providers in our area are struggling to fill key positions. A service system based on access to a large workforce isn’t sustainable. Offering services that are “one size fits all” is short sighted and results in uneven (at best) outcomes. We need to start talking about how we are investing our limited resources for serving individuals with I/DD. Imagine! continues to argue that technology should be at the forefront of that discussion, but we need more effort, and we need it now. This article leads me to the question: With the unemployment rate dropping so low, is it any easier for people with disabilities to get a job? My assumption is yes, but what does the data show?